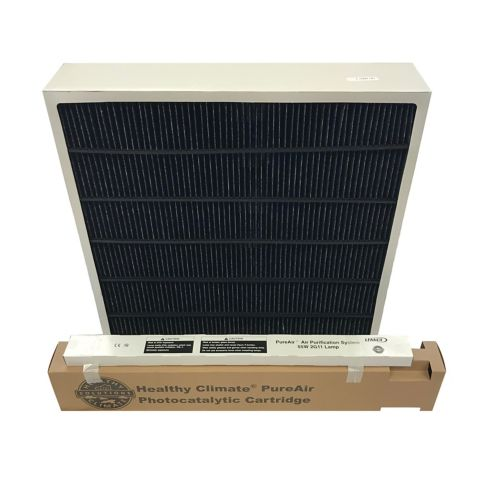 Lennox Y6608 Healthy Climate PureAir Annual Maintenance Kit for PCO3-20-16. DiscountfurnaceFilter.com is the web's #1 source for the Lennox X6608 PureAir Annual Maintenance Kit. Order your Lennox X6608 PureAir Annual Maintenance Kit today and receive fast, efficient, FREE Shipping on Orders Over $125 (Continental U.S.)! Poor air quality in homes can affect your family – especially those who already have respiratory problems. For better quality of life, an air purifying system can help. The PureAir air purification system helps control everything from microscopic dust mites and mold spores to infectious bacteria and viruses. It is the only indoor air quality system that safely removes and destroys odors and chemical vapors, making your family more comfortable at home. With regular care, your PureAir system will continue making your home’s air quality better. Order your Lennox Y6608 annual maintenance kit now.